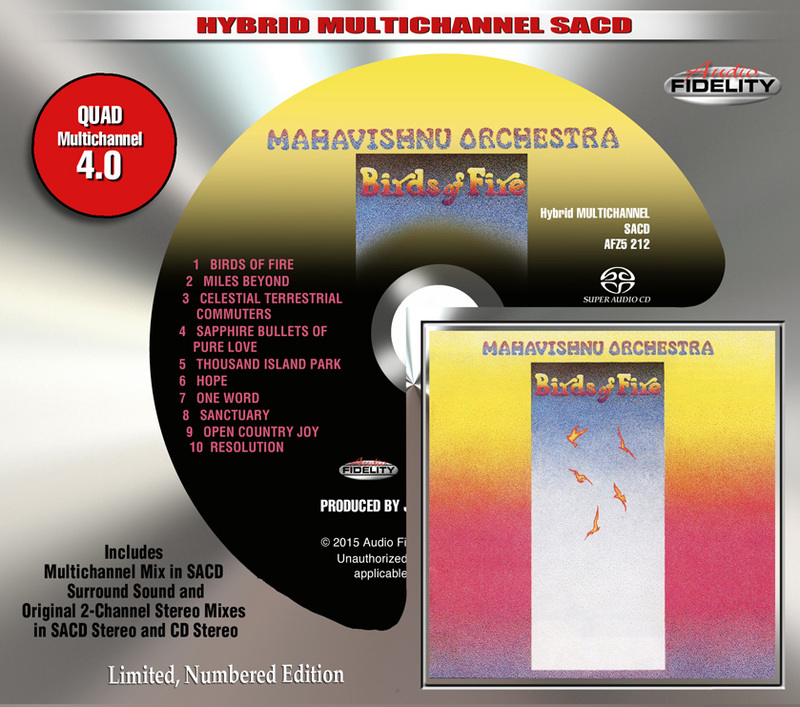 Camarillo, CA – Marshall Blonstein’s Audio Fidelity is releasing the classic fusion album Birds of Fire by the Mahavishnu Orchestra as a limited edition Hybrid 4.0 Quad SACD. Birds of Fire is Mahavishnu Orchestra’s second album. It was released in the first half of 1973 and is the last studio album released by the original Mahavishnu Orchestra line-up before the group dissolved. The album became a major crossover hit, rising to number 15 on the pop album charts, and it remains the key item in the slim discography of the first Mahavishnu Orchestra. Although it has much of the screaming rock energy of the band’s first album, Inner Mounting Flame, Birds of Fire is audibly more varied in texture, even more tightly organized, and more musical in content. A remarkable example of precisely choreographed, high-speed solo trading – with John McLaughlin, Jerry Goodman, and Jan Hammer all of one mind, supported by Billy Cobham’s machine-gun drumming and Rick Laird’s dancing bass.